Technology and engineering in higher education requires hands-on training. Usually undergraduate students get hands-on experience through lab sessions that are supervised by postgraduate students. Moreover in these lab sessions students collaborate with each other and with the supervisor exchanging knowledge and completing their group assigment work. At the University of Macedonia in Thessaloniki engineering students and their supervisors extend and intensify this exchange through the Idea Space platform developed in the frame of the “Open educational ideas and innovations” initiative. 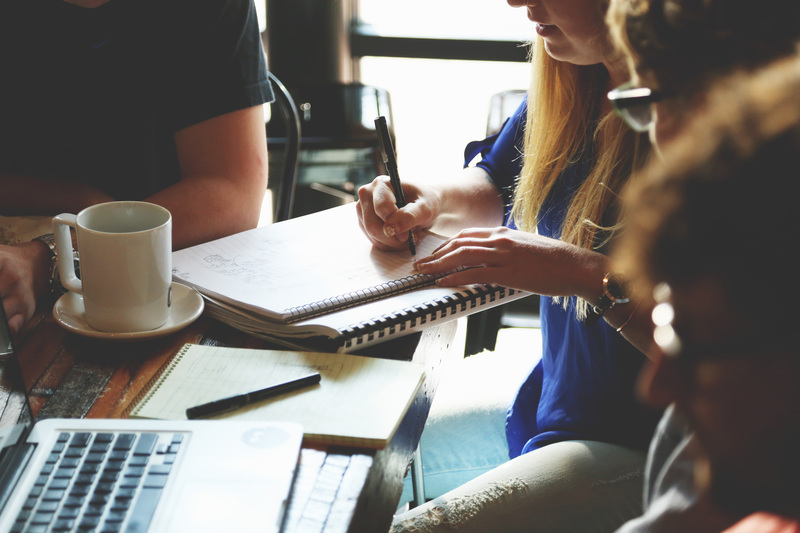 Here you can read more on how a group of undergraduate and graduate students made use of and benefited from the platform when collaborating on a group course assignment. Some background info: Idea Space is a collaboration and idea sharing environment for experts and newbies in Open Education and Open Educational Resources (OER). One core focus is connecting educators and learners within this area. 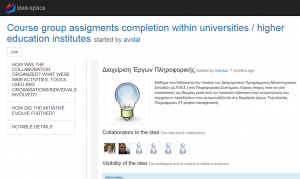 The University of Macedonia as well as several other Technical Universities in Greece participated in the pilots to make use the platform within Higher Education teaching and learning. After several conversations the educators caught on the idea to use the platform for group student assignments which is a common practice for several courses in all participating institutions.